A dental implant is a tiny post that is surgically embedded deep in the jawbone to connect to replacement teeth in order to restore your full smile. 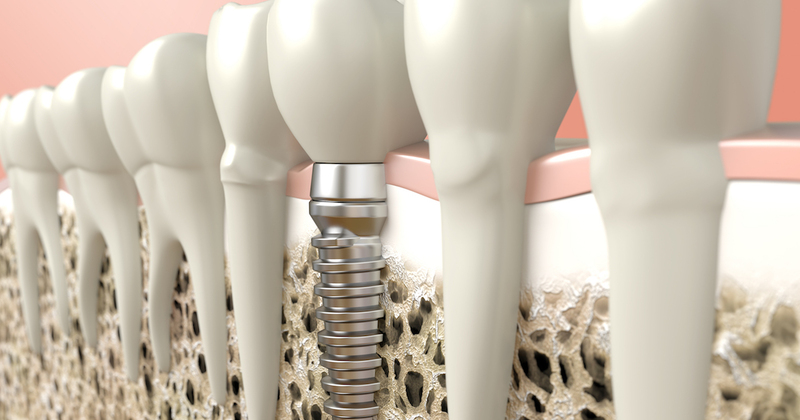 Discover why dental implants are the ideal way to replace missing teeth. In addition to making you look better and feel better about your smile, a dental implant feels very natural and allows you to talk, chew, and socialize freely. While treatment may take several months for more complex cases, patients with simple cases are able to get same day dental implants. These same day dental implants offer maximum convenience with minimal treatment time. And since a dental implant is fused to the jawbone, there’s no risk of it slipping, which happens with dentures and bridges. So even though the cost of dental implants is more than these other options, the comfort and permanence justify any extra dental implant costs. 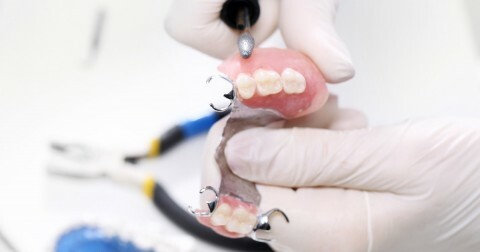 And since dentures and bridges can stress nearby teeth and fail to support the jawbone, there is a higher risk of both bone loss and dental decay. But a dental implant doesn’t cause those problems, which makes dental implant costs well worth it in the long run. If the cost of dental implants is a concern, see if your dentist accepts insurance or a dental discount plan like DentRite. On average, there is a 95 percent success rate with dental implants, which is higher than any other tooth restoration option. Since every person and case is different, your dentist is the only one who can determine if dental implants are best for you. Dental implants simply require the same good oral health habits as your natural teeth. This includes brushing at least twice a day, daily flossing, and seeing your dentist for regular check-ups and cleanings. To get the dental care you deserve from an affordable dentist in Goshen, call The Dental Center of Goshen today at (574) 538-2011 or make an appointment. The Dental Center offers affordable family dentistry and gentle, compassionate dental care in Goshen. With 4 affiliated practices throughout Indiana, our offices are conveniently located with extended hours to meet your needs. At The Dental Center of Goshen, we provide most dental services, from basic preventative care and general dentistry to specialized procedures and complete dental reconstruction. We accept most dental insurance plans and offer affordable financial solutions for any budget. Patient satisfaction is our top priority and we strive to provide the exceptional, affordable dental care and personal touch that lead to lasting relationships. A smiling patient is our greatest reward and we look forward to keeping those smiles healthy, beautiful, and bright. Discover an affordable dentist who truly cares at The Dental Center of Goshen. Excellent service, care, and lots of patience with me as I’m not an easy patient. Thanks, you made going to the dentists office less stressful and that means a lot to me. Highly recommend!